Amidst recent demands by the student community for equitable accommodation facilities on campus, the All India Students’ Association (AISA) took cognisance of the issue by leading a march this Tuesday from the Arts Faculty. The march had over 500 students who demanded the right to hostel facilities for everyone on campus. The major demands laid by AISA include the demand for a rent regulation act to monitor exorbitant rent rates at various paying guest accommodation facilities, House Rent Allowance (HRA) for the students and more hostels across the campus. The march formed a symbolic part of the movement that the organisation started to address the issue through multiple means. A post card campaign was also started in the later part of July. The campaign allowed students to convey their grievances regarding inadequate or no accommodation facilities on campus to the Vice Chancellor. 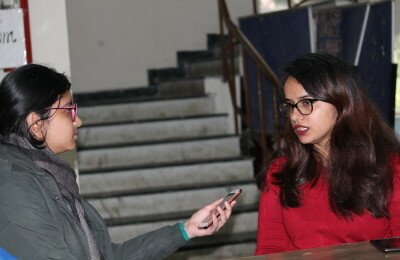 AISA succeeded in getting over 10,000 post cards from students across 25 colleges of the varsity but failed to meet the Vice Chancellor who was reluctant to meet the students at the end of the march. Apart from students, professors from various colleges formed a major chunk of the march. Individual experiences in relation to the unregulated brokerage system were also narrated by some students at the event. AISA, in the previous week organised marches of similar nature in Vijay Nagar and Satya Niketan to address the issue. One such protest was where students were seen carrying their luggage as a mark of protest to demand hostel facilities.